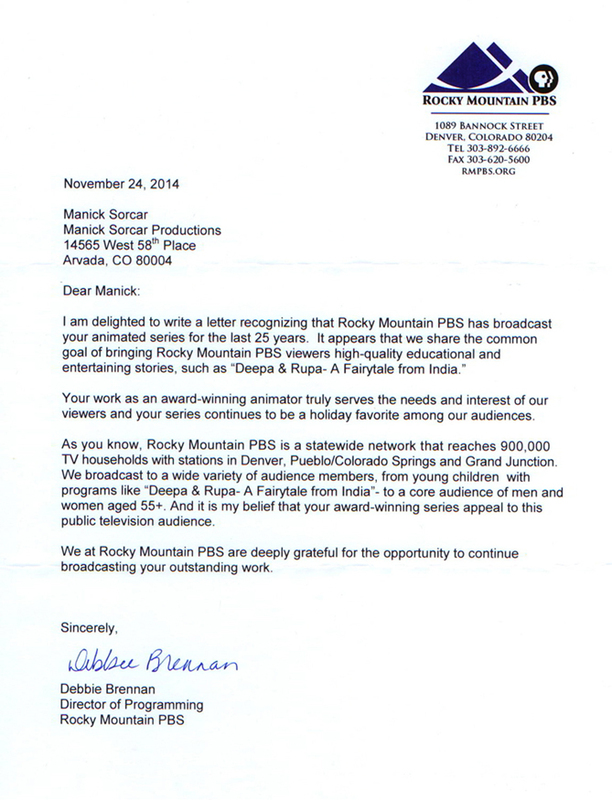 Indian Animation on Rocky Mountain PBS ..
Manick announced the Silver Jubilee event will be celebrated in Denver on January 10, 2015. "At first it was 'Deepa & Rupa', which captivated the audience and was shown several times a year for the first few years after its grand premier on September 13, 1990. It was then joined by 'The Sage and the Mouse' and 'Sniff' in 1994, which, too, were very popular. Three years later "The Woodcutter's Daughter" was a part of it, and the demand continued to grow. In 2003 'Rule of Twenty-One' was added to the group. All together a package of five award-winning animation films delighted the viewers year-after-year as holiday favorites on the Rocky Mountain PBS channel and still going strong", said Manick,"This phenomenal success is mainly due to the contribution and combined effort from so many local talents in the form of actors, singers, voice talents, musicians, artists, animators, critics and a slew of helpers including their families in various ways - all of them will be invited to celebrate the great event". Sorcar's animations have been shown on TV around the world, including a national telecast by Doordarshan, India. They also have been displayed at various international film festivals and universities. What makes Rocky Mountain PBS special is that this is where all his animations had their grand premier at the quality-concious Public Broadcasting Service, winner of the Heartland Emmy Award. 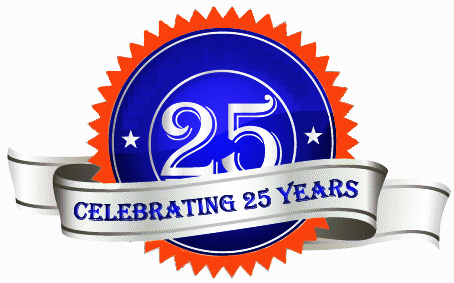 Note that the 25th-year broadcast took place on January 1, 2014, though its Silver Jubilee is being celebrated now. Rocky Mountain PBS has announced that next broadcast (26th year in a row) of these animation will be on January 1, 2015 early morning at children's prime time, when Colorado will wake up to greet the New Year! Gold Plaque, Chicago International Film and TV Fesival. India's first animation combined with live action. Gold Medal, International Film Festival of New York. Based on a fable from The Panchatantra. Golden Eagle, CINE, Washington, D.C.
Based on a non-sense poem (Gandhabichar) by Sukumar Ray. Finalist, International Film Festival of New York. Bronze Plaque, Columbus International Film Festival. Based on a non-sense poem (Ekushe-Aine) by Sukumar Ray.